One of the most famous and studied Volcanos in the world. You have a unique opportunity to make the way up to the top and see not only the crater but the most amazing view of the Gulf of Naples. The height of the main cone is 1,281 mt and is still regarded as an active volcano. The most famous eruption was in 79AD which caused devastation and has had several eruptions since. The last one was 1944 which was very slight in comparison to 79AD! It is the only Volcano on European mainland to have erupted in the last hundred years and is regarded as the most dangerous volcano in the world due to the 3,000,000 in habitants that live nearby. It is the most densely populated volcanic region in the world. 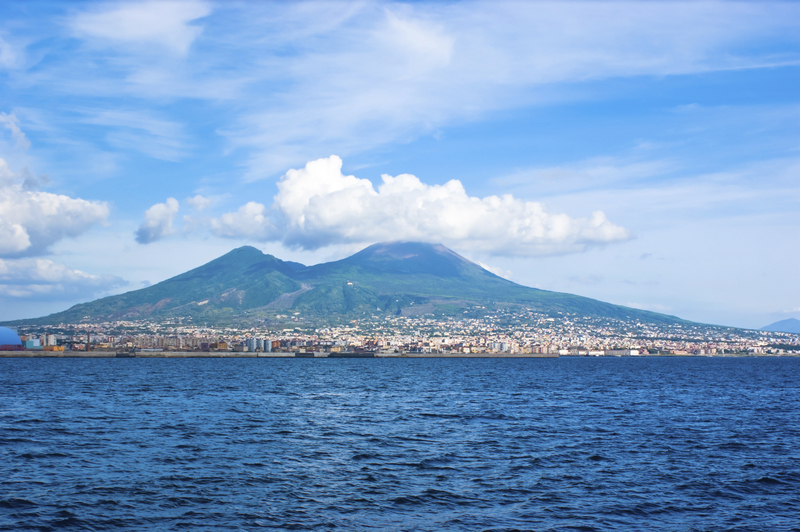 The area around Vesuvius was officially declared a National Park in 1955. An 1 and a half hours is recommended for this visit.